Dynamic tech the company on which this blog is based. the blog generally deals with Technology business case studies this blog is started in November 2018. this blog will provide you latest technology updates trends business affairs regularly. 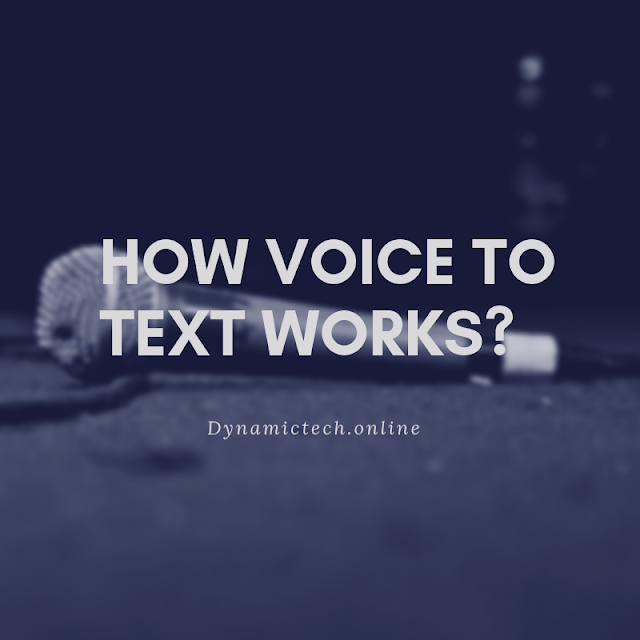 How voice to text works? You daily use “OK Google” or “Hey Siri”, a number of time while using these technologies you think that, this is very simple to use. But this is not a simple technology. This technology is called as the Voice Recognization. In the beginning voice, dictation command was only for specific machines for specific words just in order to give instructions to machine without touching them. There was Limited command in like “ON”, “OFF”. During that time the machine stores the digital command of the voice in itself. Hence, the voice input gets executed by the digitize command data present inside the machine. The machine performs the particular instruction stored in the computer. At that time data has been stored word by word in every machine. Nowadays whenever the user gives the input it matches as the best for the machine there is no right and wrong. Now you are thinking that every language has thousands of words “Is it possible to store every word?” Yes by using cloud computing. Like every language, there are Billions of words with thousands of words more than one meaning. In order to recognize the word by its standard machine recognize the word by its reference. You have been also using a digital assistant or speak option in Windows where you can type by speaking words. In iPhone “hey Siri” revolutionized the entire voice to text system. Nowadays Google has come with “OK Google” which supports languages other than English also. Now the question arises “How thousand of languages with millions of command and with billions of words are to be done using voice to text command?”. So here the new term arises called “Cloud Computing”. If you have internet connection connected with your phone then your phone takes your voice data as an input to the cloud computing server where the entire data is stored in terms of questions, phrases etc. Now this service works as real-time which means that the way you speak to the device, the device sends that data to the server simultaneously server is able to predict next word you are going to speak by knowing the reference of your words. The reference is taken of the “What was the last word you had been said?” then it will guess will be the next word of yours and once you end your statement of your voice. The data will be transferred and has been added to the server you get the particular output. So basically we can conclude that voice to text feature focus context of your statement example if you search for the “What is the net worth of Jeff Bezos?” and next use “What is his current age?”( you haven't take the name of services but still you about a person which were none other than the Jeff Bezos) you will get the result. Understand the “Phonemes”. The last step the program matches the Phonemes by taking the reference of the words around them. Later the machine uses the phonemes to the statistical model and scans them with the words stored in the machine. Once it is understood what is the given statement either it is a text request or a computer command it will be executed. Google Duplex is a technology in smartphones where you will interact with the machine in order to accomplish the task. This is an ultimate version of the “OK Google” where the machine will interact in the human voice. In this, the machine will talk by taking pauses and using phrases like “AMM”, “HMM” etc. For example, If you want to book a table for two people tonight at a particular restaurant then only you need to do is open the Google Duplex tell them to register a table for two at “XYZ” restaurant then the machine will request a call to that particular restaurant and first of all tell them that they are interacting with a machine and after booking a table for two Duplex will inform you. The communication between computers occurs with binary language, that is 0s and 1s. The data is transferred in terms of electric pulses, the high pulses indicate 1s and the low pulses indicate 0s. The more the bandwidth the more internet speed it will have. The lower level and upper level of frequency are called Bandwidth. The Bandwidth is measured in Hz. The example we say a lot of times that "I Have 2.5 GHz processor" or you have something about the "XYZ Mbps" plan, all those statements describe the frequency of the object. The frequency of broadband also defines how much time how much data should be transmitted just like 4Mbps. So, now the number of people ask about why won't we increase our Bandwidth too much or we should have an increment in the frequency of bandwidth but this cannot happen because there's a cache behind it. Let us consider that you made an increment in the frequency of the bandwidth, initially it is 2.5 GHz then after increment it will be 5GHz. Then your internet connection will work successfully but there's a cache behind this that your will range will be decremented. Now the Broadband companies require to provide the internet connection to a long distance, in most of the cities there are maximum 1-2 connections by cable. Now, in this case, there's one thing required that will reach to everyone and hence the frequency of already to be low in order to increase Range. As low frequency will give the high range which will lead to the Good quality of the speed. If there's a slight difference in the frequency then the internet speed will Normal. By these, we can conclude that the Range and the frequency are inversely proportional. The more Frequency the less Range and to get the high Range there must be low frequency. The difference between baseband and broadband is, in the baseband the data that can be sent or can be received at once but not both simultaneously. Now, you know we are using the internet and at a time we don't need one signal( we upload as well as we download data simultaneously) there are a number of connections running simultaneously and hence it is called a Broadband. The speed of baseband is fast as compared to broadband. Baseband is used in Ethernet, Local Area Network(LAN). The internet used on Television or radio is Broadband networks. The frequency of Broadband is low but the broadband covers the long distance. We are going to discuss the business model of OYO rooms. India's largest hotel room booking system, but how your room earns money??? first of all, I like to tell you about the company which was started by Ritesh Agarwal. When he was only 21 years old in the year 2013 Ritesh Agarwal created his first company at the age of 19 Oravel stays Private Limited which has been later converted into OYO rooms near 2013. Till now OYO rooms has been funded of about $1.5 billion which is about 1,07,06,25,00,000.00 Indian rupees and the biggest investor of the rooms is none other than Softbank. So, the question arises "What your rooms basically do?" OYO rooms are hotel aggregator which is different from other hotel aggregators let me explain you. You already have been heard about hotel aggregators like GOIBIBO.COM, MAKEMYTRIP.COM in these companies hotels name listed but, OYO rooms resales and Co brands that is OYO rooms Hotel by the name of its phone first of all your rooms at us about the basic facilities customer then or rooms list the property by the name of its own sir dubbing directly lifting the hotel by the name of the hotel remember. The hotel by the name of its own room so that it will not work on the commission basis YATRA.COM, MAKEMYTRIP.COM, and GOIBIBO.COM were on the commission basis. OYO rooms did not use the commission model but the reselling system. What is the reselling system? for that, you need to visit the website of OYO rooms. After you visit the website, you can see the website is attractive not the number of photos available for the rooms there is the map also available from your location to the order the way you are going to be rented. So let's go to the revenue model of the OYO rooms, I had already mentioned that OYO won't work on the commission basis but on the resale process. OYO rooms work by the hotel rooms in advance on the monthly basis booking. OYO rooms contact the hotel owner and visit the hotel and book 5 or 3 room of a hotel as rent per Oyo rooms for a month so what the benefit to the hotel owner is that if there's the room is rented. For that advance, if given to the hotel so that they also get the profit to the hotel. As their number of rooms to be rented for a month the hotel owners provide a huge amount of discount video to OYO for example if a room has been cost of 2000 rupees so as the owner has been rented rooms for a month and the multiple rooms are book for a month so, the hotel owner provide the percent discount to the room such that it will be cost about 1000 rupees to a room for a month under OYO rooms. The rooms for the thousand rupees and provide the same room for 1200 rupees to the customer and the customers also happy because they are getting the same room for 2000 rupees on the other side but they get offered by the OYO rooms the same room for 1200 rupees example this will lead to the profit of 200 rupees per rooms of the room but the biggest barrier behind at it is essential to send a 100% room from the OYO in order to maximize the profit or gain the profit that is maximum customer outcome . If we should talk about the expenses of the OYO rooms, they are owning total around 6500 hotels then the inventory cost of a rooms of monthly is about 60 crore rupees marketing courses about 10 crore and the basic have you completed profit is about 3 Crore showing the total monthly expenses of Oyo rooms is about 73 crore. Approximately OYO rooms have been booked and over 40,00,000 loss is about 12 crore rupees and still, OYO Rooms made around 61 crores. This is the perfect version for a beginner to learn till mastery of the photoshop. Open the file "Photoshop Installer.exe"
Browse the particular where you want to allow Photoshop to be created. The installation will not take more than 4 mins. And now the Desktop Icon is created. these are the two types of Google AdSense accounts. 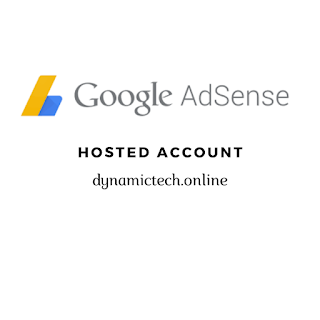 The Google AdSense hosted account is very easy to approve As compared to non-hosted account. 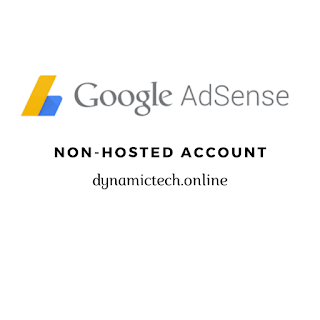 These are that kind of Google AdSense account which are approved by the services which are hosted on Google's provided platform like blogger YouTube AdMob etc. In short, services you are using like YouTube blogger and AdMob will get into the charge of Google-hosted account and luckily it is very easy to get approved from these types of account as compared to Non-hosted or fully approved Google AdSense account. according to the Google AdSense policy, you need to take separate approval for YouTube blogger and AdMob for this type of AdSense account. YouTube monetization can be done using Google AdSense hosted account by this you can show ads on your YouTube channel. similarly, on your blogger blog which is hosted by Google platform, you can show Google AdSense ads on your blog. if you own an Android app you can show ads on your app by using AdMob. in this type of program, you get 55% of this share as a publisher from Google of advertising. The Google AdSense fully approved account Is approved by a website which is not hosted on Google platform. 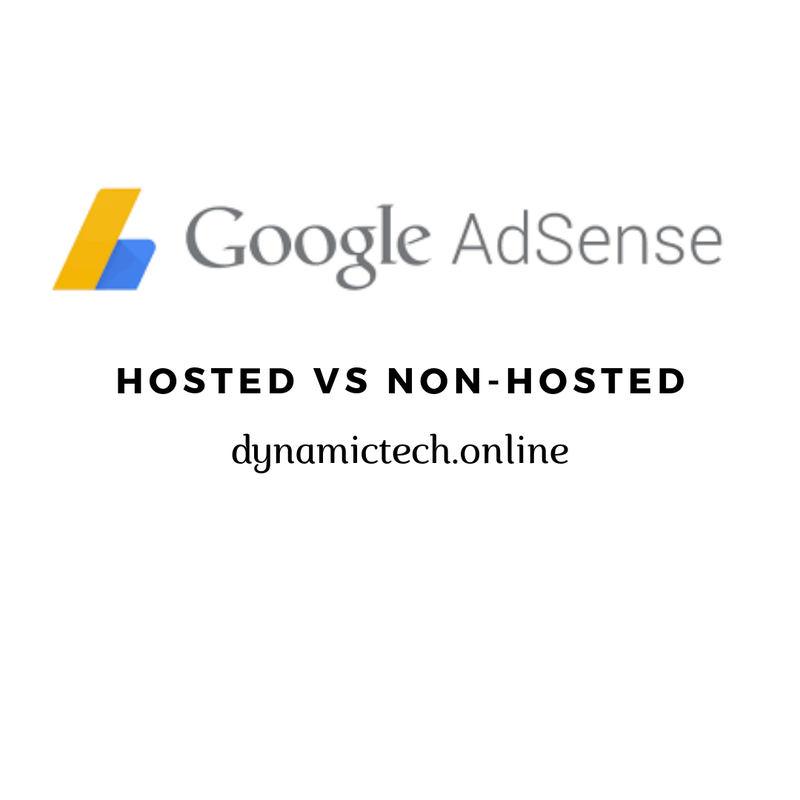 To get a fully approved AdSense account you must need a website on which you can take approval Why this type of account you can show ads on your YouTube channel your website as well as on your Android app For this you need to pay for the hosting. Among the tons of benefits of this type of account is that you will get a 68% share as a publisher. This type of account is generally very tough to get approval but if you have one Google AdSense hosted account then you can upgrade that Google AdSense hosted account to the Google AdSense Non-hosted account on the Google AdSense fully approved account. Everyone really enjoys the services provided by Google companies. The most popular is the Google Search engine. In the Ancient times, there was a paper map on which we the traveler looks and follow the route in order to reach a particular location. As the new Technology arises these maps are transformed into Google Maps. Amongst the hundreds of products by Google, Google Maps is one. Whenever you want to go somewhere, no matter where you are or if you want to see a roadmap of a particular location then you must use Google Maps. No matter you have a Phone or PC or laptop you can see where you are and where you want to travel directly. Ever get questioned how Google Map works? What is the technology behind Google Maps? In the Mid of 2000s, Google acquired a company named "Where To" the service here is to how to represent the maps digitally with the complete layout of the concepts. There was also the same company called "MAPQUEST" where you need to refresh the page again and again. That means if you are using MAPQUEST and you want to zoom in or zoom out something then you need to reload the page. Later they make a tie-up with the government and few questions were asked liked which road is where? , which road is meeting to which route? length of the road? and they were unable to answer all the questions. After this, the new technology comes to existence called as "Satellite Images". The satellite images were successful to answer all the questions. The factor which will lead to the vast is the road accuracy that is the street view. The street view is not available in every but in those countries available have the car with a 360-degree camera which captures all the images around with the Smart AI technology. The technology is good enough that all sign boards around round will be captured and then analyze them to know the Road direction, Road Name and the Road Merging in order to improve the data such as which is one way which road is no parking where to go and where to turn. All these things are possible because of the street view. When the collapse normal image with their 2D satellite map then you see the building some risen up That is you will see the 3D shape of the building. These things can also be done sometimes using a helicopter or by Drone. Apart from this if we discuss the office or shop or their phone number then this was the number of times tried by the Google to get these details by Yellow Pages to Directory. Later the Businesses owner came by themselves to tell Google about their Business. Google Maps also give the internal map of the malls. People also contribute a lot about their localities. Google also gives real-time traffic. Everyone uses a smartphone nowadays because a smartphone can manage hundreds of things alone. No need to describe what it can store, but there are some problems with the smartphone that is it is very easy to and handle and very easy to lose your phone. The biggest problem that most of the people faces today is the Phone stealing. Number of people came with asking the question "How should I find my phone?". They do tons of research they found one-Phrase common that is IMEI Tracking. 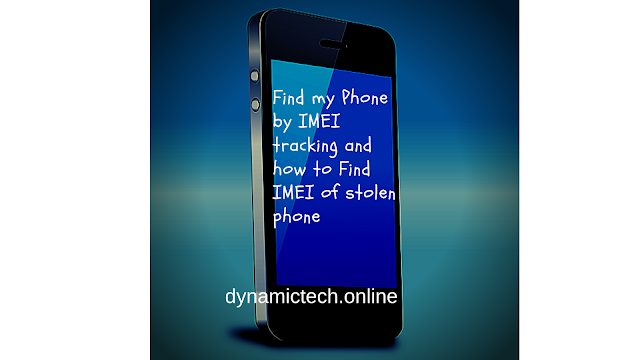 The question arises is that "I don't have a phone then "How can I find IMEI of a stolen Phone?". Your Phone consists of your personal pictures, personal videos, personal contacts, personal Apps, Passwords etc. So losing your phone is a very big problem nowadays. What is IMEI Number and How to find it? IMEI stands for International Mobile Equipment Identity. Let me clear you that IMEI is not only for Mobile phones, this for every device which can join with any network. Mobile phones, Tablets as well as the Dongol have their own IMEI number. IMEI number is the identity of the device when it is connected with any cellular device. This is 15 digits and this is available in Mobile Phone's Bill and Mobile Phone's Box or if you check in to the back panel of the mobile phone that is below the battery of your Mobile Phone. The best way to get your Mobile Phone's IMEI without any other media is just type *#06#. Let me clear you that if you have a Normal phone then you can't do a lot of things with these. Tell your Mobile operator to block the IMEI number of your phone and launch it as surveillance mode. As the surveillance mode is on then whenever the thief has changed the sim card then only one network notification is required later everything is dependant on the efficiency of Police. But if you have a smartphone then no need to go the police, if you have a smartphone and you put it somewhere and forget it or someone steals it then you need to do this step in your phone right now. Here are different cases possible: If your Phone is online that is is your phone is getting network then you can directly locate your phone. But if your phone is in that location which is not accessible that is no network is coming. Then the first is to lock your phone. After locking your phone your all content will be safe aside. If you think you can't find your phone and the data inside your phone is so private that you don't want anyone to see then you can erase your Phone's data directly. You can Locate your phone, Lock your Phone and even you can erase your phone but if your phone is in your home then you can Ring your Phone. When you lock your phone then you have an option to send a message "This phone is stolen please contact on this number" to the phone screen. Now if your phone is stolen and you don't have your IMEI number then "How you can make a police complaint?"